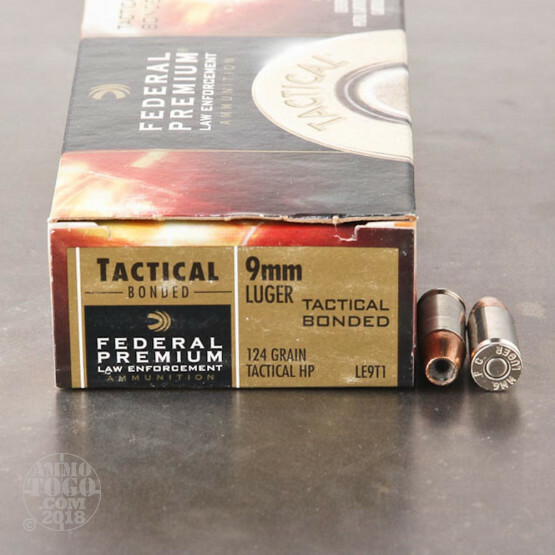 Founded in 1922, Federal Premium has evolved into one of the world's largest producers of ammunition. 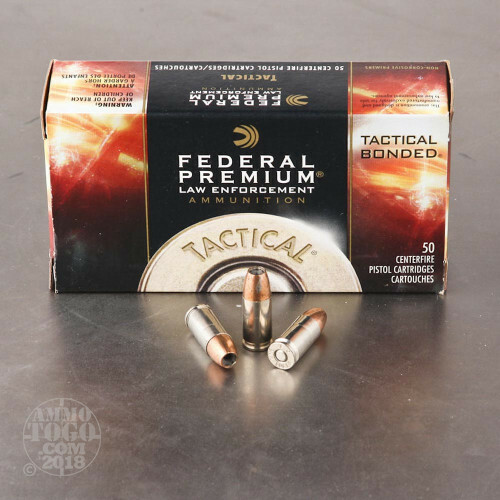 Federal's line of Tactical Bonded ammunition was developed to meet the specific and demanding needs of law enforcement. Also, a perfect option for civilian personal protection, Federal LE Tactical Bonded ammo delivers deep penetration and impressive terminal expansion. 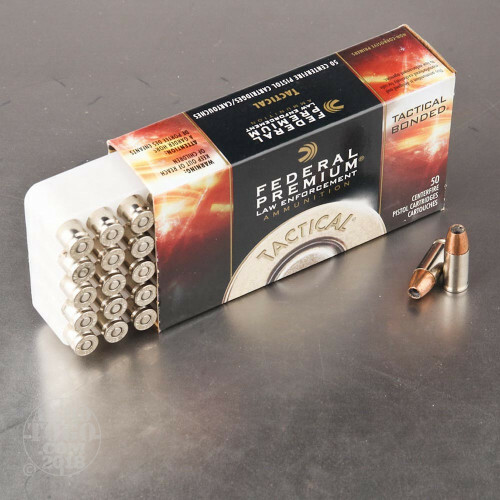 This package contains 50 rounds of Federal LE Tactical 9mm ammunition. Each round is loaded with a 124 grain hollow point projectile with a bonded copper jacket design. The bonding process prevents core/jacket separation for maximum weight retention and superior penetration even through tough urban barriers. Leaving the muzzle at a velocity of 1160 feet per second with 370 foot pounds of muzzle energy, this new production ammo achieves a level of accuracy and terminal performance unmatched by other ammunition. These rounds are non-corrosive and boxer primed. 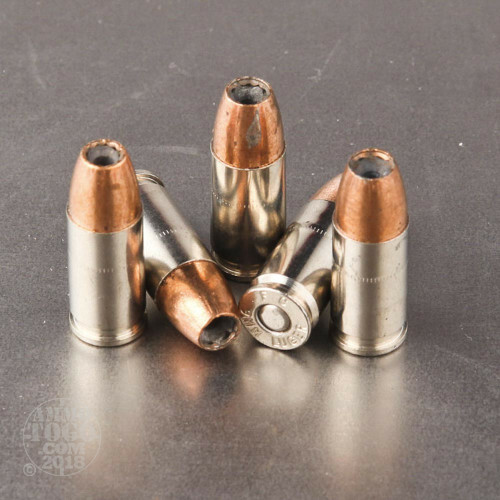 Featuring bright, reloadable nickel-plated brass casings, these cartridges are highly visible in low light situations, providing easy loading and chamber checks.